Want to end the weekend on a happy note? Join us for l’heure verte: the green hour, better known as Happy Hour! During the Belle Epoque, absinthe was a popular drink in bars, cafés and cabarets. L’heure verte gets its name from the alcohol’s distinctive green color. The beverage of choice for poets, authors and artists, you could find cultural stars like Degas, Van Gogh, Manet, Toulouse Lautrec, Baudelaire, Verlaine, Zola, and Hemingway sipping on the infamous green drink. We invite you to get a taste of the la fee verte and other French aperitifs, along with selected French dishes, at The Raymond Restaurant bar. 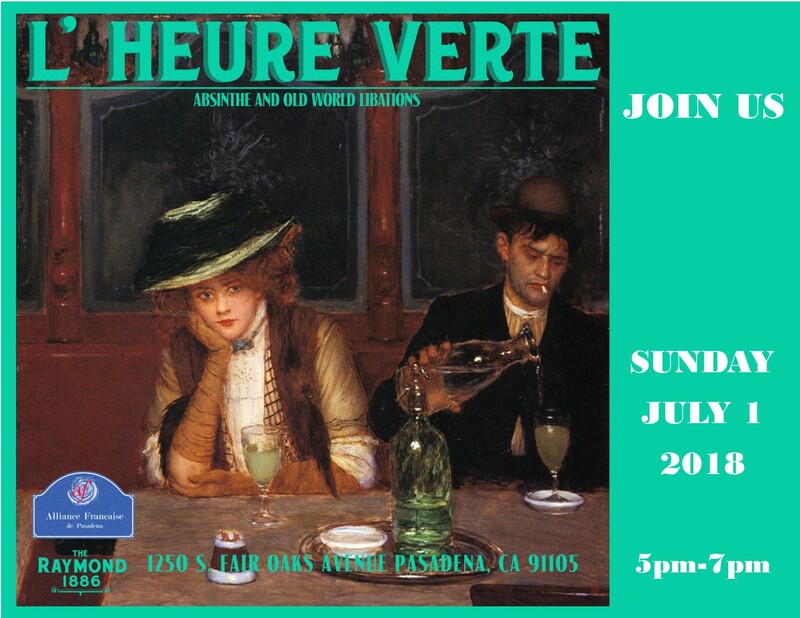 This month, join us at 5pm on July 1 and then, let’s rendez vous every first Sunday of each month. No need to make reservations; just show up and bring a friend or two!